Easter is fast becoming my favorite holiday for crafting with my 8yo daughter Molly. 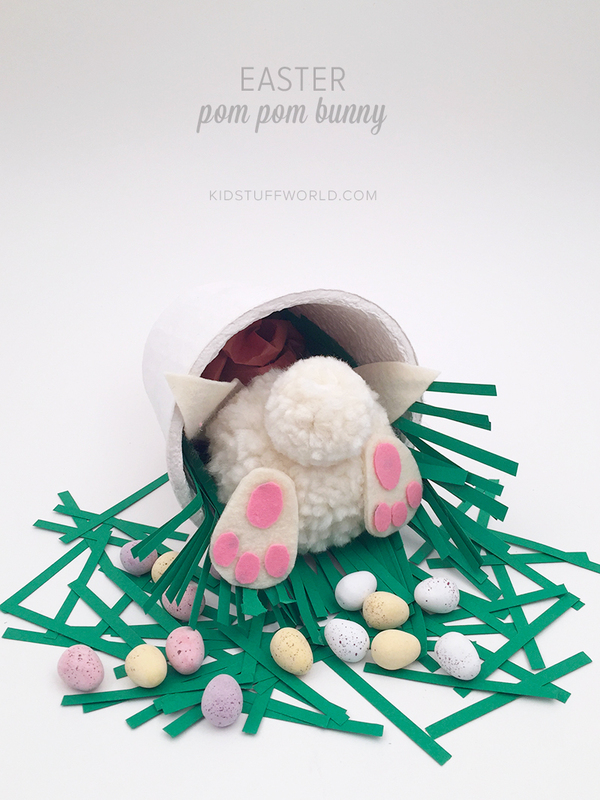 Inspired by the bright spring light, fresh colors and all out cuteness of Easter bunny craft season there’s a little more ‘pep in our daily step’. We give you…. The Rummaging Bunny! 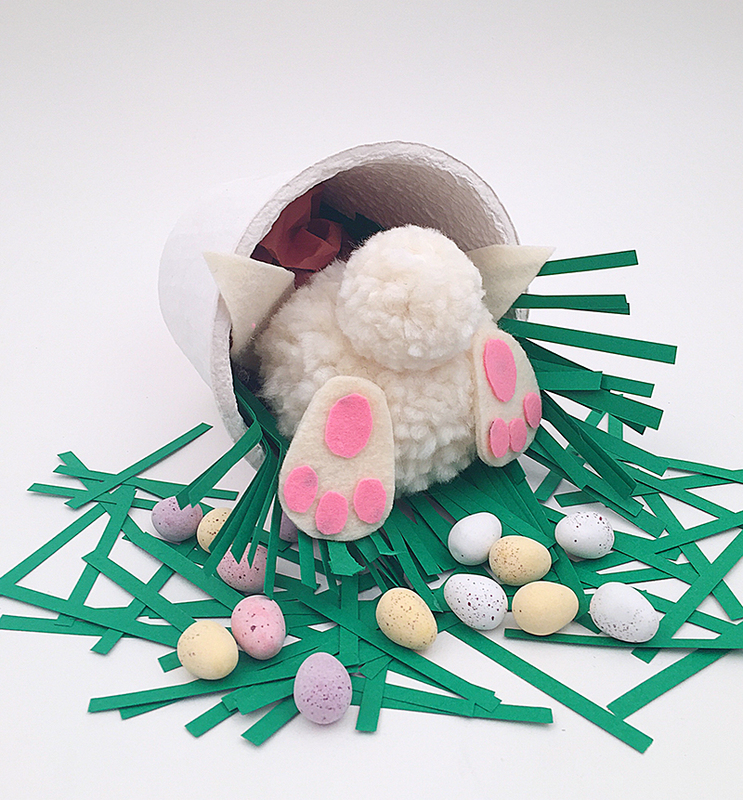 a cute pom pom bunny table centerpiece, caught in the act of leaving the chocolate treats. An excellent way to make the kids Easter table even more special and sweet. 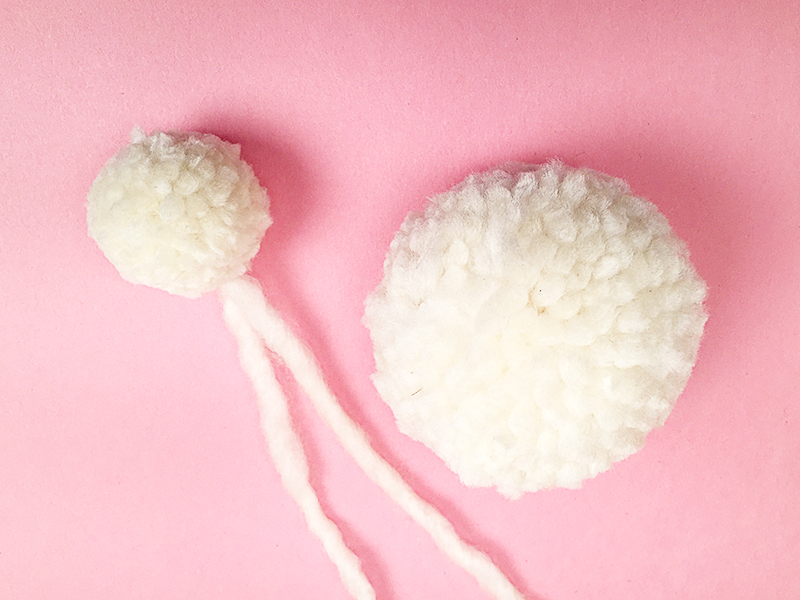 Make one large and one small pom pom, leave the center binding yarn long on the smaller pom pom so you can use it to bind both pom poms together. Cut the little paws out of felt. 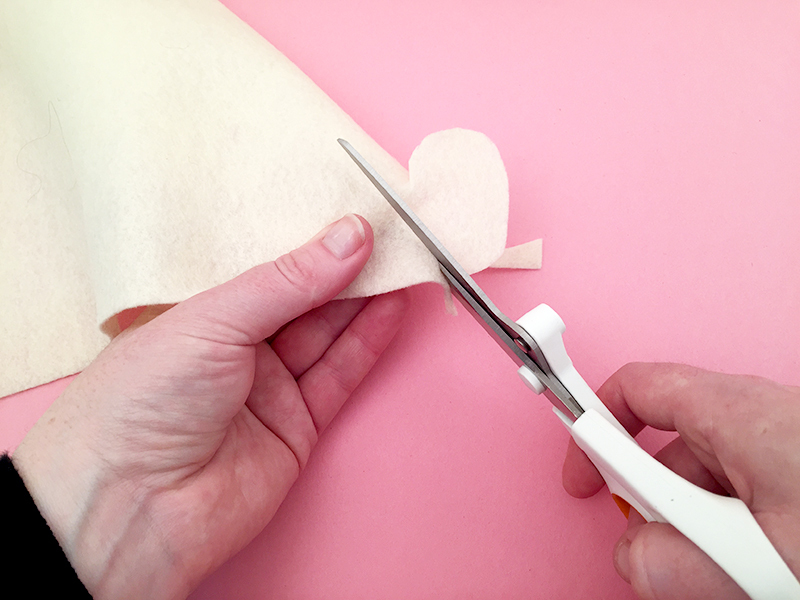 Cut two pieces for each paw and glue them together for thickness, you will want them to stay flat and not flop! 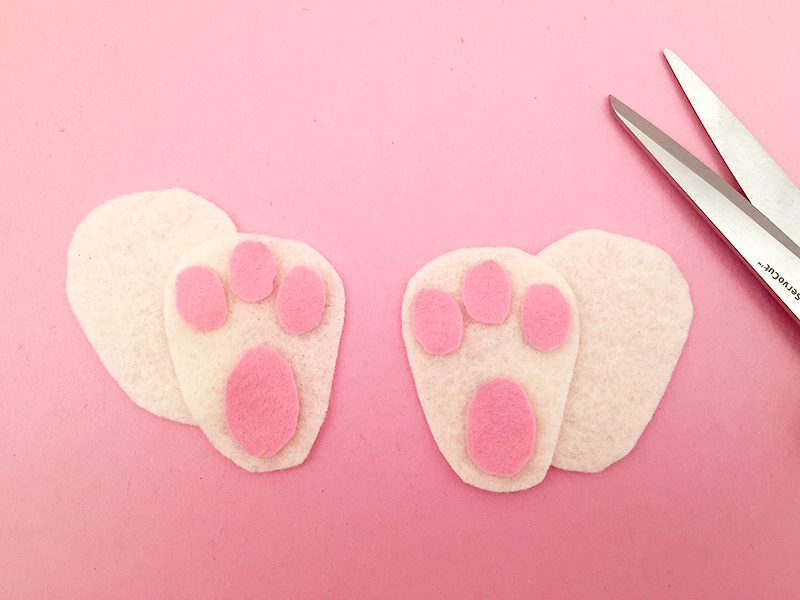 Then glue little pink pieces onto the felt to finish the paw paws. Glue the feet to the bunny and that’s the bunny done, ready for rummaging. 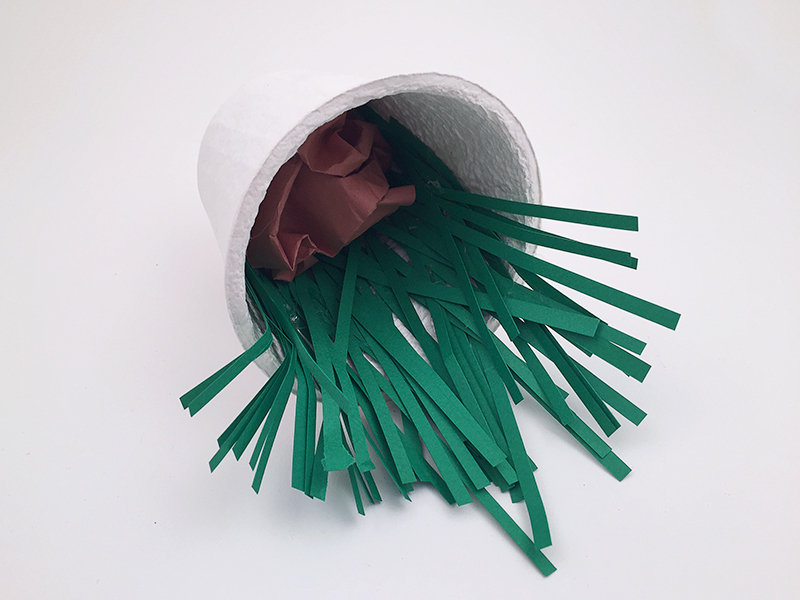 Glue the grass into the inside of your flowerpot and scrunch up a piece of brown paper for the mud filling. You can add ears if you like but he will look just as cute without. We’re so excited to have Molly crafting with us here today! 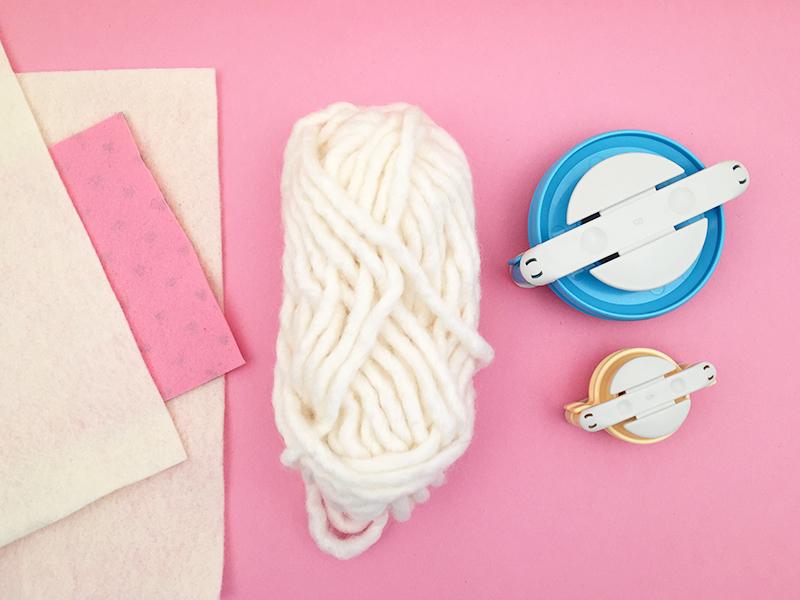 She’s long been one of our favorite sources for craft ideas and inspiration. If you liked this bunny craft, be sure to check out her paper bag bunny pinata and these adorable wine cork bunnies! 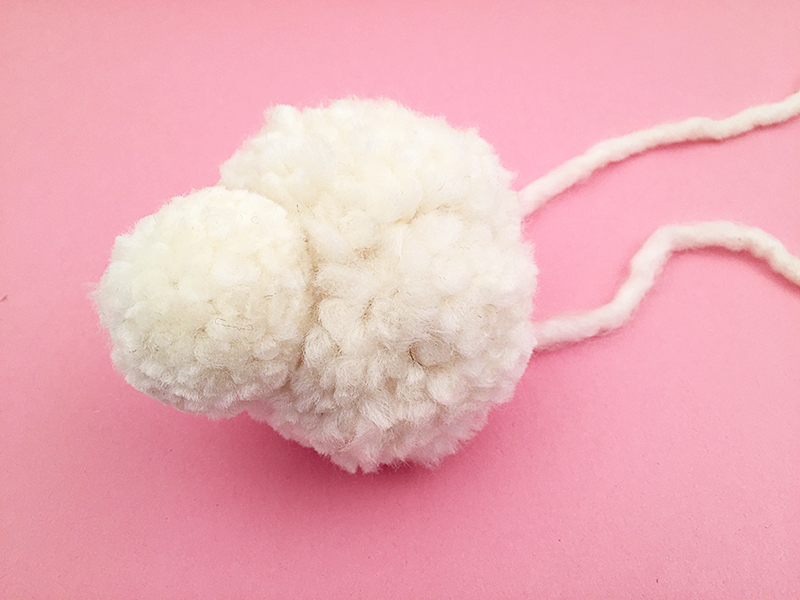 Or, if pom poms are more your thing, don’t miss her pom pom hedge hog tutorial or my personal favorite, these adorable spring pom pom birdies. All this and so much more at MollyMoo, stop by and say Hi and tell her we sent you! 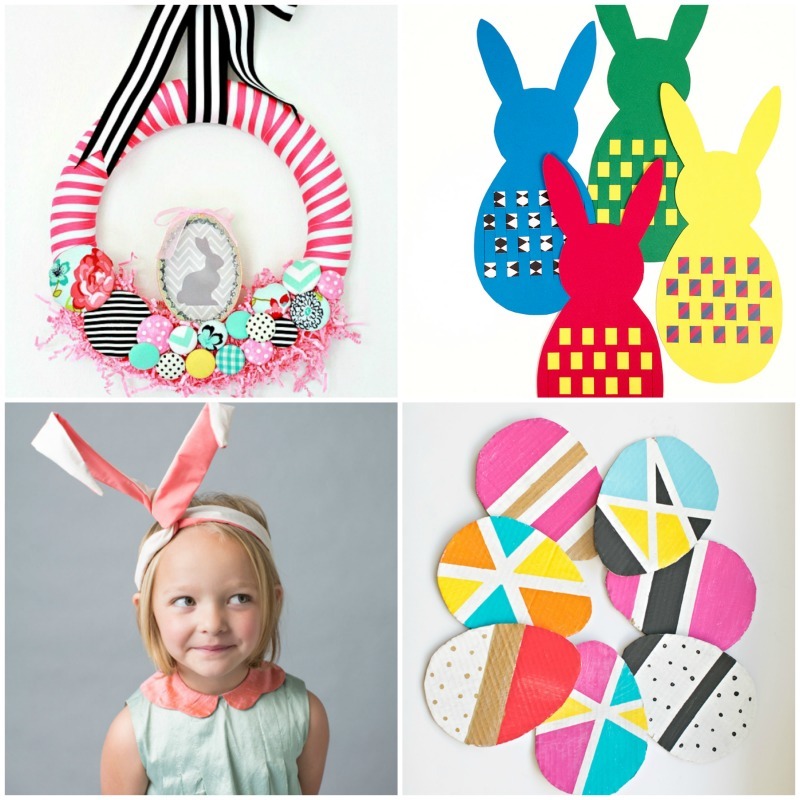 Follow Michelle McInerney’s board MollyMoo Crafts & Posts on Pinterest. 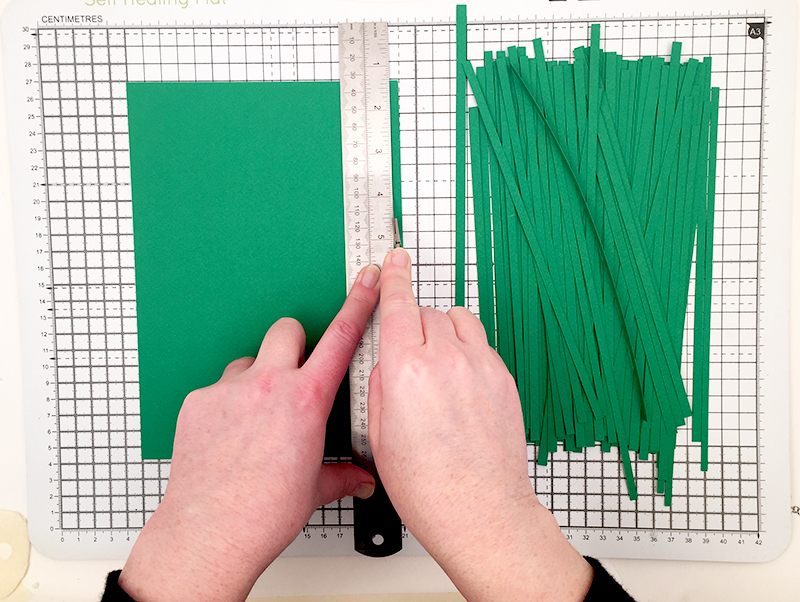 Michelle is an Irish working mum (graphic designer) wife, and everything in between. A self-confessed craftaholic, she is inspired each and every day by really clever design and everything handmade. And boy does it show on her blog! MollyMoo is a mum’s blog focused on craft – crafts for children, and crafts for parents, craft tutorials, design finds and fairies of course! She recently published a wonderful new craft ebook, Happy Handmade, featuring 115pages of unique and colorful crafts for parents to make with and for their children. 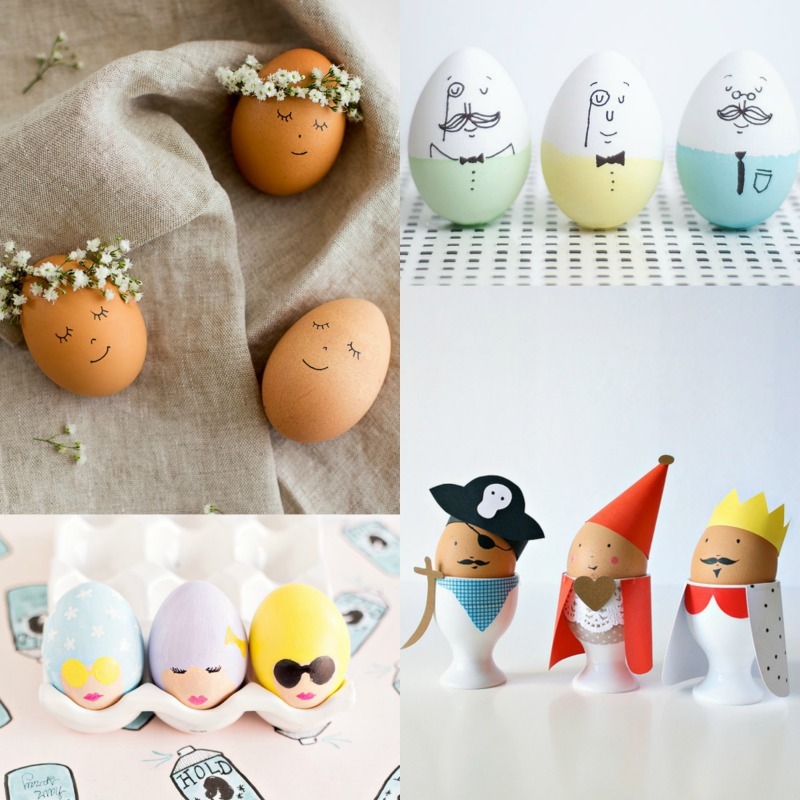 The absolute cutest Easter crafts for kids!